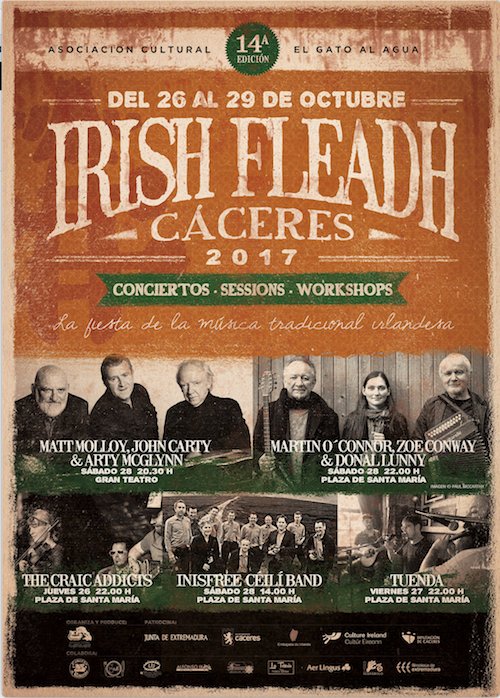 The 14th edition of the Cáceres Irish Fleadh will take place this year from the 26-29 October. The Craic Addicts will open the festival on Thursday evening in the Plaza de Santa Maria. The Asturian group Tuenda will play on Friday night, followed by some great seisiúní in the bars. There will be a workshop on Saturday morning from 11.00-14.00, and the fun will continue with a concert by the Inishfree Céilí Band at 14.00 and more music in several bars around the town. The Fleadh will finish with two concerts on Saturday night, with Matt Molloy, John Carty and Arty McGlynn followed by Mairtin O´Connor, Zoe Conway and Donal Lunny. The Fleadh is free and open to all. 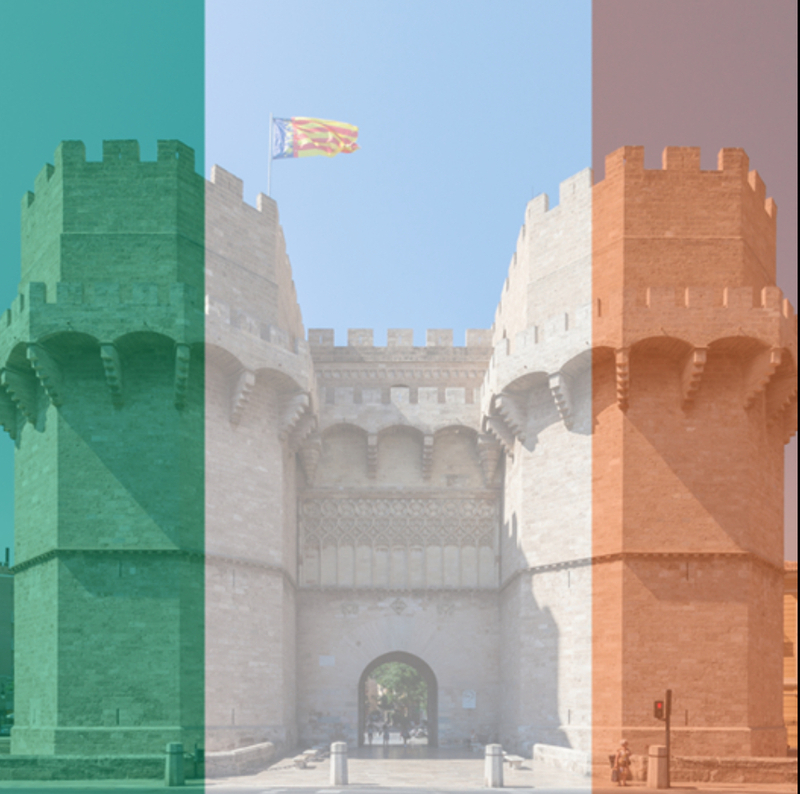 Creative Connexions will hold its Irish Catalan Arts Festival from 26-29 October, in Sitges. 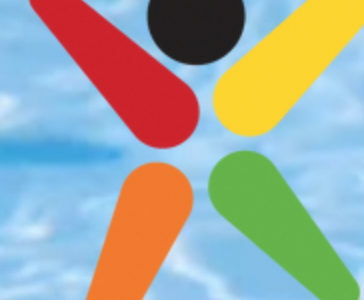 The exciting line-up of music, art, dance, poetry and theatre once again this year will offer great entertainment for all ages. The hugely successful Irish dancing group, ProdiJIG, is just one of the many acts performing this year! 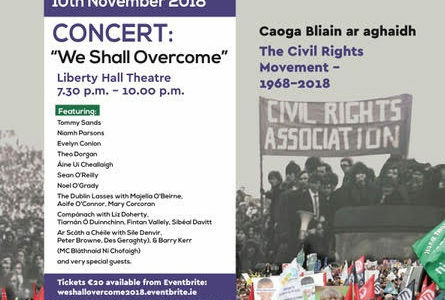 Puca Óg have two concerts coming up that you might like to catch. The first is on 14 October at 22:30 at Max Max Celtic Bar, c/ Vinalopó 11, 46021 Valencia. Entrance free. There will be several guest musicians playing. The second is on 11 November at 19:30 at Centro Cultural La Pocilla, c/ Guadarrama 66, 28260 Galapagar, Madrid. Tickets available on the door. For this concert Púca Óg is getting together with the Galapagar World Dance Association for a varied programme of song and dance. https://www.facebook.com/aciv.vlc/. Other concerts organised by VICA include Lochlainn on 30 September and The Whistling Thieves on 12 October. A new exhibition will be opening in the Centro Niemeyer, Asturias, on 6 October showcasing the work of the Irish performing artist Amanda Coogan. There will be two live performances by Amanda on Sunday 8 October and again on Sunday 5 November to close the exhibition. Paddy Hill’s documentary on the work of Amanda titled “Long Now” will be shown and there will also be lectures on performing art with the support of the University of Oviedo. The University of Zaragoza will host La Noche de los Investigadores on Saturday 28 September at 20h. The group Celtic Airs will be adding their musical tones to an evening of poetry reading and fun. Narrow your search by selecting categories and tags.